Want to visit the heaven on earth? Are you finding the best spot to take your family on for a family vacation? Here’s the answer to all your questions! 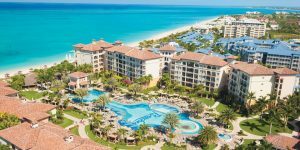 Nestled on the powdery white sand shores of Grace Bay is Beaches Turks & Caicos, a one of a kind all-inclusive resort for families. This family-friendly property by Beaches Resorts is in an ideal location, as guests can enjoy access to a 12-mile stretch of beach. The resort is made up of four villages, and guests have the option to choose which ambiance they prefer to stay in. The Caribbean and Seaside Villages offer a garden oasis. The Italian Village is old world charm meets the tropics, and the French Village is a Caribbean paradise with a French touch. Those looking for a laidback vibe will want to stay in Key West Village. From poolside walkout rooms and rooms with bunk beds to oceanfront villas and rooms with a butler included, there is an accommodation for every need. Guests are blown away by the amount of inclusions this resort offers. With 21 restaurant options, it’s hard not to be. Even the pickiest of people will find something to eat here. There is hibachi, a seafood grill, breakfast buffets, a pizzeria and a jerk shack just to name a few. The kids in the group will love Bobby Dee’s, a restaurant inspired by 1950s American diners, and adults will enjoy an evening away from the kids at the Sky Lounge. In addition to the several restaurants, this property boasts 15 bars—some of these being swim-up bars—offering unlimited premium spirits. Whether it’s a refreshing beer, a delicious glass of wine or a fun cocktail such as a Mai Tai or Piña Colada, the amazing bartenders will be able to deliver it in style. Family members of all ages will have a blast at this resort. The youngsters in the group will love running into Sesame Street characters throughout the day. They can even learn how to bake cookies with Cookie Monster and have story time with Elmo. Teens will get to spend time with new friends they meet at the pool, in the Xbox lounge or at the teen disco. 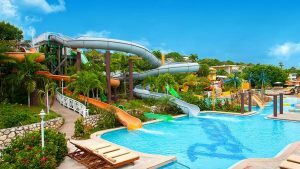 Guests of all ages can visit the waterpark, play pool or volleyball, enjoy the daily entertainment and so much more. Water lovers will be able to take advantage of the top of the line equipment included in their stay such as kayaks, hydrobikes, paddleboards and snorkeling equipment. 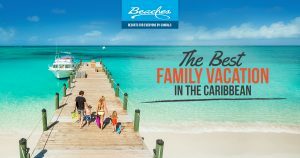 The friendly staff at Beaches Turks & Caicos will guarantee your family has the best time making memories that will last a lifetime. There’s no better place to take your vacation.